Ms Soapbox doesn’t like math. As a child she thought numbers had personalities. Eights, sixes and nines were nice numbers; fours, fives and twos were sharp and nasty. Math was “difficult” because it was full of numerical personalities jostling for supremacy. Imagine her surprise when the Leaders Debate revealed that numbers were treacherous too. In the Debate Mr Prentice tried to discredit the Wildrose by arguing that their numbers didn’t “add up” and they couldn’t possibly reduce public spending by $18 billion as promised. Wildrose leader Mr Jean retorted that Jack Mintz, a well-respected economist and advisor to Mr Prentice, had reviewed the WR budget and concluded the numbers did indeed “add up”. So let me get this straight. Jack Mintz, reviewed both the PC budget and the Wildrose budget and said they both “add up” even though the PCs say the WR budget falls $18 billion short. So forget the numbers (they’re elastic and will say anything if you squeeze them hard enough). Focus on Mr Prentice’s words. In Dec 2014 a somber Mr Prentice warned Albertans that tanking oil prices had created an “unprecedented” fiscal crisis that he could fix with a “once in a generation” budget. The budget would include “tough choices” that required Mr Prentice to seek a fresh mandate before he could, in good conscience, take action. Then he launched a barrage of trial balloons, like flares flying off a sinking ship, to test how just how “tough” he dared to be. Fast forward to Debate night. Mr Prentice’s opening and closing statements indicate that in the space of three short months he’s had a change of heart. Yes, Albertans are facing “important challenges”, even “significant challenges”, but “we are not facing challenges that are greater than what we’ve faced in the past and overcome.” Been there, done that, ready to do it again. Mr Prentice’s attempt to undermine the Wildrose plan was hobbled by the fact that Mr Jean refused to provide any details on where the $18 billion in cuts would come from. All Mr Jean would say was “look it up, it’s on page 5”. Actually Mr Prentice focused on Ms Notley right from the start, turning to Ms Notley ten times more frequently than Dr Swann and three times more frequently than Mr Jean. Oh, and was it just me, or did Mr Prentice show his nervousness by calling her Ms Notchley twice??? Mr Prentice attacked her proposal to increase corporate taxes to 12%, arguing that it would destroy the “Alberta Advantage” and kill jobs. Ms Notley pointed out that BC raised corporate taxes and jobs increased and that Ontario decreased corporate taxes and lost jobs. Her point (in words, not numbers) was that it’s not that simple: the Alberta Advantage is more than just having the lowest corporate taxes in the nation. It includes having no sales tax, an educated workforce, decent healthcare and so on. Mr Prentice ridiculed the NDP plan to create a resource commission, saying that the results of the last royalty review were “devastating”. Ms Notley replied that the royalty review did not cause the international drop in oil prices (she’s right, Alberta may think it’s the centre of the oil universe, but it’s not OPEC), and the commission would be a transparent forum to ensure Albertans get the best value for their natural resources. This exchange illustrates why it’s critical to think about the words. Mr Prentice is fearmongering. He attempted to tar Notley’s resource commission with his own government’s half-hearted attempt to improve royalty returns. It ended disastrously because his government allowed Big Oil to make the government the scapegoat when oil prices dropped in response to global market forces. Ms Notley’s proposal is something entirely different. She’s calling for a standing commission created under Bill 209 to ensure transparency and accountability in the management of Alberta’s natural resources. The commission would make recommendations on royalty rates, value-added proposals and long term sustainability of non-renewable resources to the Legislature which presumably would include a few representatives of the PC party to keep them from going hog wild. Dr Swann made some excellent comments about healthcare and the environment. He was all but ignored by Mr Prentice who was singularly focussed on destroying Ms Notley’s credibility. Mr Prentice went into this election expecting a coronation. Instead he’s fighting for his political life. He chose his words carefully during the Debate and he’ll choose his words carefully over the next eight days. Will his words reflect moral leadership or will he default to Harperesque attacks on Ms Notley and the NDP? Will he respect Albertans struggling to make up their minds or continue to throw around platitudes telling them that their “spirit”, “ingenuity” and “optimism” will overcome these not-out-of-the-ordinary challenges? Words matter, especially for a politician who called an unnecessary election and is now in a three-way race to the finish line. This entry was posted in Politics and Government and tagged Brian Jean, Election 2015, Jim Prentice, Math is Hard, Rachel Notley. Bookmark the permalink. Love your take on the debate. We need you in the Leg speaking your mind and helping our elected representatives see the world as it truly is. Frank, they’d probably eject me for being too snarky! You would not even start. Very true Carlos, very true. McLean Magazine had an article up for a short while saying the Wild Rose Board of Directors met and decided unanimously not to change their platform. That means all the things that were true under Danielle Smith are true for Jean. The same article said there were over 300 board members! Wow! How many Americans? The Wild Rose never made any bones about what our biggest unnecessary expenditure was and that was transfer payments in their minds. Their big money saver? Do away with transfer payments. Only thing is they didn’t say it would take 5 other provinces on side to pull this off and, they just are not there! Following that line of thought it means that Mr. Jean and the Wild Rose Party simply do not have a plan at all. Conservative Governments privatize companies by spending all their money on needless things that do not show a profit (think here of our CPP and Harper in control of the board) then come back to the population telling them the company is broke and the only way to save it is to go private. Chattel is turned over to the prospective buyer who usually puts in a small amount of cash never enough to pay for the chattel let alone the business base. The Conservatives have done this time again in the health care arena. Mr.Jean says he will send our medical waiting lists to the US. A very expensive options. I predict we will see American clinics installed in Canada as Jean will realize it is less expensive to bring the clinics to the customer, Then, there will be price increments the government can’t cover because there is no money and within 2 years we are totally involved in a US Republican style health care. Gone will be universal health care as it has no place in the Republican world. Cyberclark, in the Debate Mr Jean was grilled about the Wildrose plan to send patients out of province if they can’t get their procedures done in Alberta within a minimum wait time standard. Notley and Swann opposed the plan as expected. What surprised me was Prentice jumping on the bandwagon. He argued that the WR plan created a two tier health system (which it does). Prentice is either being hypocritical or he’s oblivious to the fact that every premier and health minister since Ralph Klein tried to sneak a two tier system into Alberta under the guise of The Third Way or other healthcare reform. For those of us with children in school, we know that math must be difficult for Prentice. His comment about alberta meeting the learning commission guidelines for class sizes is so inaccurate. He truly needs to enter a high school class with his calculator to see that 37+ Students is the new 27 class size that was suggested in the million dollar commission taxpayers paid for! Catherine you’re so right! When the topic was raised in the Debate Prentice said school boards had $460 million in their reserve funds and should use these funds to deal with overcrowded classrooms. Notley quickly pointed out that some school boards had some reserves but others did not so children would continue to be packed into classes that are well in excess of the recommended 27 kids per classroom standard. Swann jumped in and said he’d visited a classroom where there were 40 (!) kids in one class. It’s insane to cheat our children of an education in what, we’ve been told time and time again, is (was) the richest province in the country. Once again Prentice is using the math to suit his purpose: $400 million in reserves overall doesn’t mean that money is available to every school board that needs it. Ms Notchley twice??? A classic freudian slip if ever one was uttered! Shame on you, Jim! perhaps he had a lisp when he was younger?? i’ll use this as a segway into something I picked up on the Calgary Herald debate on line. A woman’s name, a NDP avatar beside it was pushing that old royalty sheet that has never been used and never will be. I make “her” as a Prentice type trying to sway people to the idea they are collecting royalty. If I’m right and I think I am, it is pure desperation on the part of the Conservatives. Wow, thanks for the heads up Cyberclark. If she’s a PC troll then the PCs really are worried. Hopefully most people realize that the only NDP policy is the policy that appears on the official NDP website. And don’t forget Prentice saying that Ms. Notchley, er Notley, would increase corporate taxes to 20%. I’m pretty sure Prentice said “to” and not “by” and so did Ms. Notchley, er Notley, who proceeded to correct his math by pointing out that that 10% to 12% was a twenty percent increase, not an increase to 20 percent. Personally, I think an NDP proposal to increase corporate taxes to 11 percent would resonate much better with almost everyone as it would leave Alberta tied with BC for the lowest provincial corporate tax rates. i would hate to see the NDP be overly specific and detailed with numbers as it gives the opposition something to attack. There is no need to be terribly specific – general, qualitative differences will be enough for electoral success. ABCanuk: I’ve watched the Debate replay. Prentice definitely said the NDP would increase corporate taxes TO 20%. The jury is still out on whether this was a slip of the tongue or intentional. If it was unintentional all he had to say was, oops, I meant to say you’re increasing corporate taxes BY 20%. Instead he stubbornly clung to his story which gave Notley another opportunity to make her case for increased corporate taxes. I agree with your point that there’s nothing to be gained by being overly specific. Let’s face it, the PCs have had months and an army of government employees and consultants to prepare their budget. The Opposition has had much less time. They can fill in the details when they form government. It’s enough to know they’ve got the broad outlines of a plan. In talking to a source within the Health Care system is finding the liabilities for services that Alberta Health Services provides to clients (whose benefits would be covered by third party Health Insurance and other Benefit plans, including WCB) are frequently not being billed. Hence Albertans are paying twice for their health care – premiums deducted at source for the benefit plan, and then through their taxes because AHS is not submitting claims for the charges or having the patients files transferred to the party covering the patient. Lots and lots of money is being left on the tables, and private corporations and insurance companies have extra cash for their shareholders. Is this a Lieutenant Governor in Council Policy or total incompetence at AHS ??? Or is it Staff reluctant to do the extra paper work and not having access to billing code numbers such as the staff at the dentist office or other health services who can claim the benefit directly?? Bruce, you raise a very interesting point. A few years ago the Auditor General found that the government failed to collect something in the range of $800 million in unpaid corporate taxes from corporations. Given the fact that the government is desperately short of revenue, why is this under-collection going on in areas as different as corporate tax collection and AHS third party billings? Makes you wonder whether it’s simply not a priority for the PC government to cause grief to their friends in the private sector (wink wink). I would say the ‘…cause grief to their friends …..’ to be the correct answer. this is why it has become so important for the PCs to stay in power. Alberta is a farm club for the elites in this province and they will fight tooth and nail for it. No doubts. I am sure that if Rachel ‘Notchley’ forms the government we are going to find way more than what has already transpired with princess Alison Redford. I am going to bet that is just the visible iceberg. So is it 18 million or 18 billion. I am confused now. As far as the 20%, if you watch the debate again you will clearly see that was a spin strategy to get the number in peoples heads. He did not even reply to Rachel’s comment on that. He did not want to because a correction would not allow the number to stay with the audience. This is an old Russian communist mafia trick. It serves the purpose and it is used an ‘in’ method again. Dirty campaigns that only serve to get people even more disgusted with politics. To people like Prentice it does not matter because they would be ok becoming dictators anyway. Is that now what Harper is trying to do at the Federal level? Gosh I should have lunch before typing. Interesting tidbit about the Russian communist technique of getting “facts” stuck in the populations minds. Prentice’s behavior in the Debate was puzzling. I just finished reading Paul Wells book about Harper. He discusses Harper’s debate prep. Harper was coached to look into the camera for every answer, even when the other leaders tried to get his attention by taking a personal shot. His advisor said “The goal was to try and recast or reframe [the question] so that rather than looking like we were the ones under attack, there would be a pivot away from the others, into the camera, to use the opportunity to drive the ballot question with the viewers at home”. Prentice seemed to get caught up in the argument and in the process may have lost sight of the fact that his goal was to keep the PCs and undecided members of the audience with him, rather than to clobber Notley. Who knows. Political analysts say debates never swing an election, but Alberta is a strange province and this is a very unpredictable election. Yes and it is surprising to me that most people do not know that fact about the Russian system. I hate to call it communist system because there was nothing about communism and a lot about Mafia The Russian government was and is again a very well organized and very rich Mafia. It was not any different in the Old Soviet Union. In the good old days they were more powerful I think. Anyway, psychology was the strongest component of their political system. In Africa, in the seventies, when they took over several countries’ governments the first thing they would do is to change (in one day) all road names to heroes of the communist system. In the schools they would march into any classroom every couple of hours with loud slogans repeating the same lies over and over until they became true history. They did many others things similar to the CiA waterboarding to those who would not repeat the mantras with them. Propaganda and spin is not an American political invention, the copyright is in Russia. Someone once said “Liars figure and figures lie”. That’s why we have spin doctors controlling the messaging from the govt. I’m cynical about pretty much all of the numbers being thrown around at the moment. Case in point – the PC’s track record of underestimating the price of oil, and resource revenues, and then painting themselves as heroic when said resource revenues were higher than budgeted, as if they were directly responsible for increasing revenues come year end. I think you were too kind to the Premier over his ‘math is tough’ comment – my advice to him on that is look in the mirror, and it was good to see Ms Notley stand her ground and persist in clarifying what was said. I suspect that his offhand remark is not going to sit well with a certain demographic come Election Day. 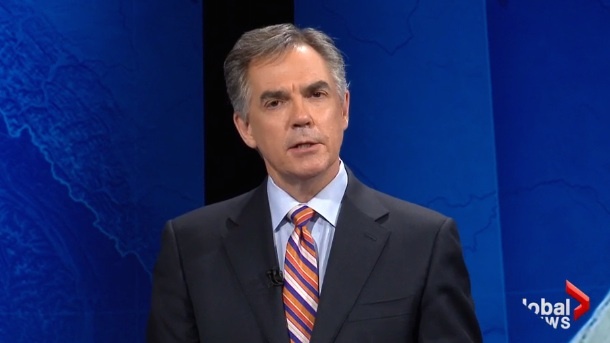 In the debate Prentice indicated all will be well in Alberta in 2 years as if to say the crisis will be over. Alberta has lost all of its petroleum customers! Obama inked a deal with Mexico to supply to Gulf Coast at the same time they restricted Saudi Arabia’s input to the Gulf. This cuts deeply into Canada’s known market. Alberta is building 1.8 million barrels of new storage in Alberta. That is industry pessimism. We will never return to the glory days of petroleum we won’t even inch towards them. There are no markets at the end of any pipelines! Notely has correctly identified the Northern Gateway as being a boondoggle. Consultants are making big money just stirring the pot. Natives have priced the pipeline out of reach. A conservative ex minister has a plan he’s pushing to Port Alberni the largest safest natural port in North America. Prentice didn’t ask him to explain. I so want an NDP majority! So right Cyberclark. It’s disingenuous for Jim Prentice to criticize Rachel Notley for saying it’s time to move on from Northern Gateway when he himself had the file for two years and couldn’t make any headway. CIBC loaned Jim to Enbridge to work on nothing but Northern Gateway and Prentice got zero traction. In fact in his first week on the job as premier (Sept 2014), he said getting First Nations approval for Northern Gateway with the terminus at Kitimat would be “pretty tough”. Prentice said that terminus locations, other than Kitimat should be explored. What he didn’t say was something that every regulatory lawyer knows–shifting the terminus requires years of environmental reviews which in turn adds years to the application process. Enbridge quickly refuted Prentice’s comments saying it had no intention of changing the terminus from Kitimat. Bottom line: Notley is right, Northern Gateway is dead and everyone but Prentice knows it. Jim, your cynicism is well placed. Peter Tertzakian, chief economist at ARC Financial (and an industry guru) says the industry’s revenues are sitting at 2009 levels, but its cash flow is at 1998 levels. He’s predicting the industry will book a loss of $18.6 billion. In 1998 it booked a loss of $1.4 billion. As I’ve said before, I struggle with numbers, but I can understand words. Here’s how Tertzakian summed up the situation: “The oil price war of 2015 ranks among the most challenging of any downturn in the 155-year history of Canada’s oil and gas industry.” Had the PC government listened to Peter Lougheed and put the brakes on unfettered oilsands expansion and put more effort into promoting diversification we wouldn’t find ourselves in this mess. The PC government has a lot to answer for. I saw the debate(or I heard the debate on the web)and I found that Rachel Notley and David Swann performed the best. 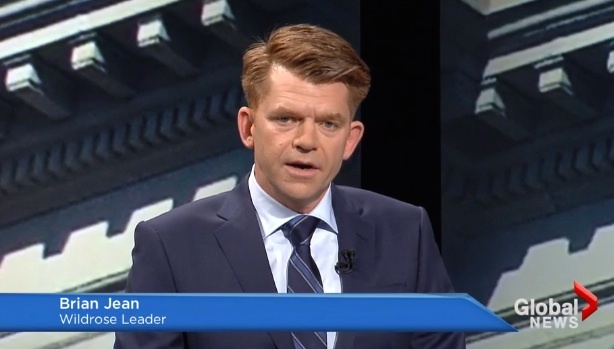 I thought that Brian Jean was flat and came up with the same old stuff right-wing Fraser Institute drivel on the wonders of tax cuts that we have heard before. Jim Prentice didn’t perform much better. I am not sure either if Rachel or David will do everything that they propose, but they deserve a chance. The tone was civil which is always a good thing. The fact that JIm Prentice as much attacking Rachel as he did Brian showed what their internal polling is telling him. I remember previous debates where Ralph ignored the NDP and the opposition. I hope that the polling that 308.com is correct because it shows that there is an appetite for change. One thing someone should ask Mr. Prentice is that if Alberta is such a great province, then why did my family have to pay to have my recently deceased mother taken to the morgue? Shouldn’t this be the price of a decent society? Frankly, while it is very upsetting that have to go through this, it more upsetting that we have to pay the $250.00 for an essential service. This is something that is highly symbolic of what is wrong with this province. I hope that those who feel the way will get out to the polls and vote for meaningful change. I am finding many seniors actually saying “this will be the first time in my life that I will not vote Conservative” Such the 20% of their core support is going “to Grant Notley’s daughter because he was the greatest opposition the PC ever had.” The elephant never forgets. Thank God for seniors! Seems to me seniors, together with many more Albertans, have finally realized that the PCs squandered the tremendous opportunities handed to them over the last few decades. Well, squandered and redirected to benefit their friends and supporters–there’s a reason why PC political donors are disproportionately corporations. The PCs show no sign they’re heading in a different direction under their “new manager” Mr Prentice. I can’t wait for May 5! David, I agree with your take on the debate. The one thing I’m concerned about is David Swann’s flat out refusal to work with the WR if the PCs end up with a minority government. I understand that the WR rejection of any tax increases is inconsistent with the Liberal and the NDP positions, but the question all the opposition parties have been asked is “will you work with the other parties if there’s a minority government”. Surely the WR, the Liberals and the NDP can cooperate on other issues, just like they did when they took to the steps of the Legislature to protest Bills 45 and 46, the draconian anti-labour bills. I’m terribly sorry to hear about how your family was treated with the passing of your mother. Prentice’s new taxes and fee increases will make dying even more expensive given the increase in fees to get official documents, including death certificates, from government departments. I agree with Susan re Swan line in the sand refusal. If we can pull an NDP Government out out of this Swan may reconsider if he’s offered a Health Portfolio. That would be the best of two worlds! I am very happy today because the change that I have been looking for has come. While it was sad because my parents who always loved Calgary and their province weren’t able to experience it. I know that they would be proud of their citizens as I am for the first time. There were many people who said that change was coming and no one believed them until May 5, 2015. I think change began with Nenshi winning in 2010, and then a bit with Alison Redford in 2011. The fact that this province has elected the second woman in a row proves that there is change. Another test will be in 2019 or 2020 and the public gets to reevaluate the government’s performance. Will we elect them or sending them packing? Hopefully they be voted out if they fail to govern well, but that depends on the people. In any case it is the first time I can be proud of my province!!! I would have been dancing in the streets if I hadn’t had to deal with my mother’s funeral, but as time passes, I will. By the way, my parents’ riding, Calgary Glenmore, is in a tie and we won’t know what the final results are for awhile, but the fact that that riding was even in play was good. For the Wildrose, they will have to change some of their rhetoric or policies if they want to govern. They still have too many idiots who say stupid things. The Saskatchewan Party had that problem until Brad Wall threw the extremists under the bus!!!! He has governed two terms by focusing on conservative libertarian ideas such as regulation and taxes(although he has benefited from an economy that the NDP left that was doing pretty well when he took over, but the Sask Party won’t admit to that). The first thing on the agenda is clean out the rot and open the books and see just how much we have been ripped off. Then we can go ahead and make some real progress. David, I’m terribly sorry to hear about your mother. I hope she would have been pleased to see the outcome of this election. Take care of yourself. Thank you Susan. She would have been happy with this or any change. While she and my late father were PC voters, they voted for almost every party-except the Wildrose and the Reform/Alliance/Conservative Party. They didn’t think the public would ever change. While the late Peter Lougheed thought that Albertans were centrists often the most far-right voters would get elected. Since 2010, when Nenshi got elected, there were those who said Alberta is changing and on May 5, 2015, there is concrete evidence. I think my parents would be surprised and happy. We now have make this government keeps their promises.